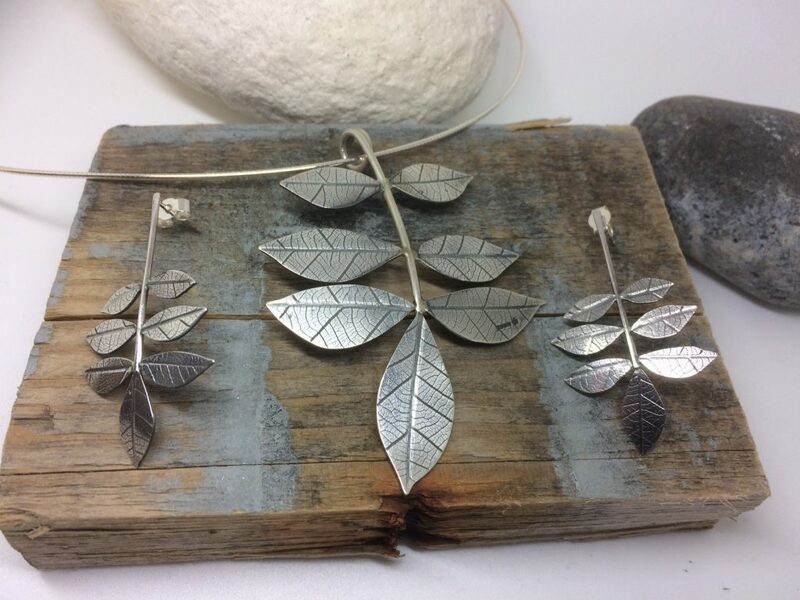 Having been surrounded by jewellery making for most of her life, jeweller Katherine favours traditional techniques and materials when creating her handmade jewellery pieces, and takes lots of inspiration from the countryside around her home in the South of England. 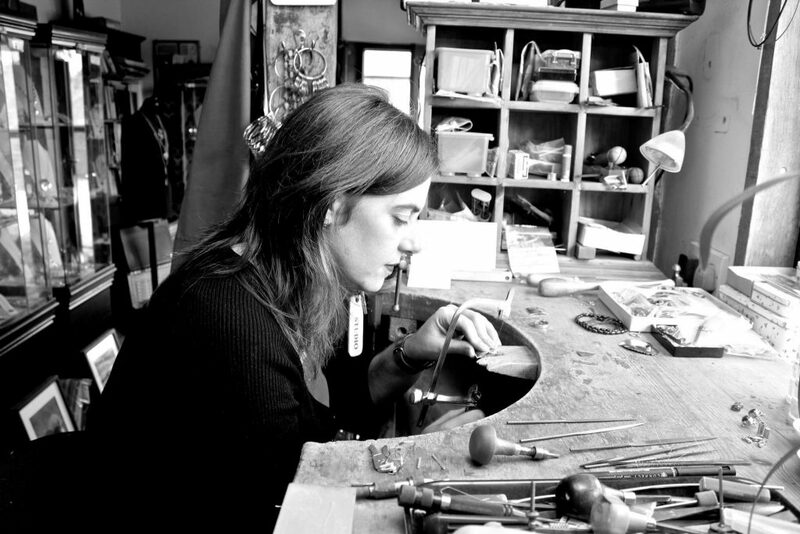 Read the following interview to discover more about her background and her jewellery designs. I was immersed in jewellery making from an early age. My father, a jeweller, worked from home, so my sister and I would gravitate to his studio if we were bored. I didn’t set out to become a jeweller but took a conventional route via Art College and University. Jewellery design and making seemed eventually to be an obvious choice. I’m very privileged to have been in business for 20 years, working my business around my family and vice versa. I currently work in my Dad’s studio which he left behind to emigrate to the US. It’s a rustic converted stable nestled beneath the South Downs, not far from Brighton and the South coast of England. I am a traditionalist when it comes to materials, and tend to favour silver, gold and semi-precious stones. I love texture, so nearly everything I make has a surface textured which either has been roller textured or hammered. I favour bezel setting as that where my confidence lies. On my wish list is to learn how to set diamonds, and I would also love to master etching and anodising aluminium. There just isn’t enough time in a working week to experiment and play at the moment. My design style is influenced by lots of things so my work has no one source or style. A lot of my work uses traditional techniques and the design is led by this. The texture of the metal and beauty of the gemstones lead to the end design. I currently have several ranges of work. My newest, ‘Tales of the countryside’, is inspired by folk art, British wildlife and its symbolism, and is whimsical. I exhibit with the Society of Botanical Artists in London and Germany, and the work for those exhibitions is often a lot more in depth, sculptural and botanically correct. Inspiration is gathered from several sources. Symbolism in my work is important to me, my customers love that the pieces they buy have a story or a hidden talismanic meaning. I can’t help but be inspired by the British countryside. Living not far from the South Downs and the Sussex coast means I’m never short of somewhere to go and blow away the cobwebs and gain an idea or two! I would find it hard to sell something that I wasn’t proud of. But I do sometimes favour some pieces more than others. I’m very pleased when special pieces go to a good home. I also love working with people to make jewellery for special occasions. Sometimes it’s a happy time, sometimes a sad one. Knowing that something I have made means so much to someone else is really distinctive. I have a couple of favourite tools, they are old and battered and I’ve had them for a while now but there’s nothing quite like them. 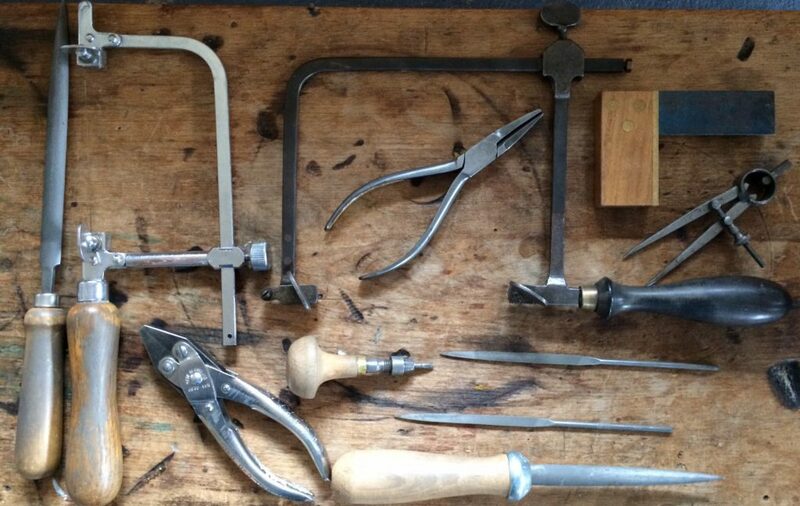 I have a lovely pair of pliers, half rounds which are probably from the 40s, my Maun parallel pliers, a setting tool that is an old screw in a hand vice which my Dad made for me before I went to college, and I couldn’t make jewellery without my piercing saws. 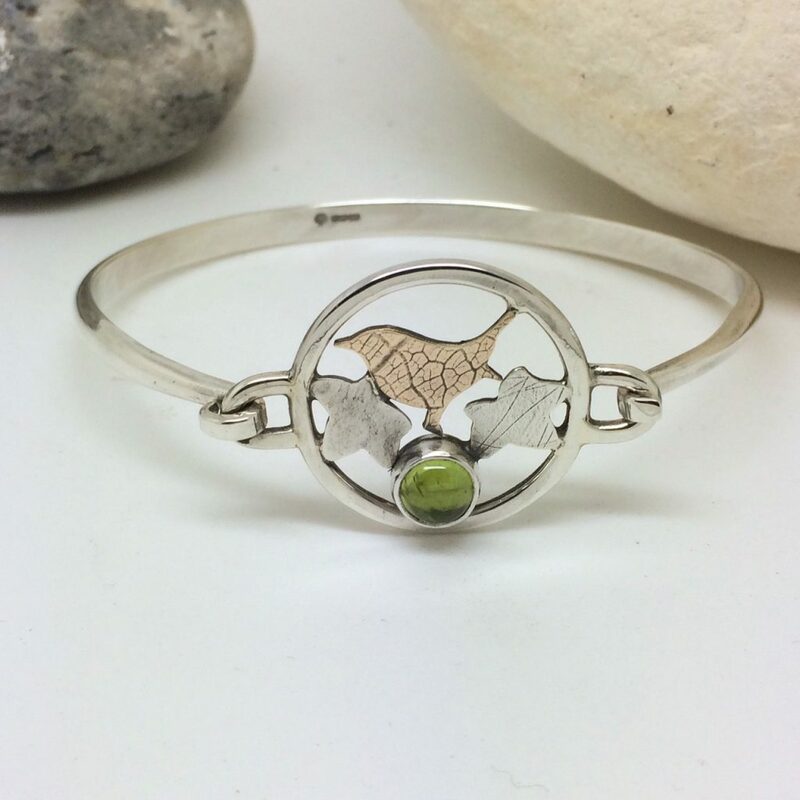 I try to avoid making ‘trendy’ jewellery, although I always keep an eye out for what people are buying. 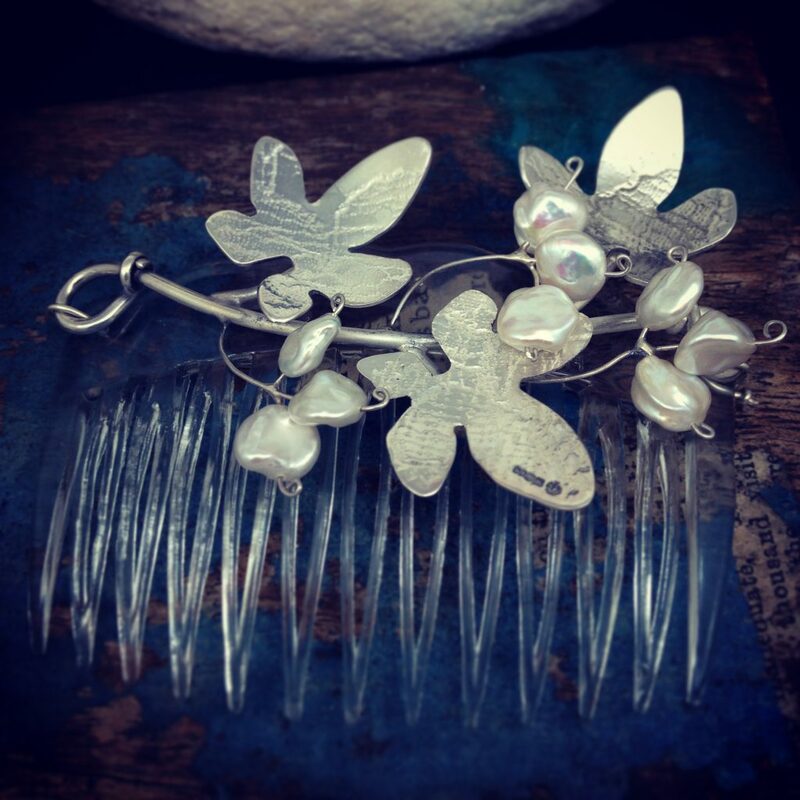 That being said, I think that we will see a resurgence in recycled jewellery; whether it’s making jewellery from broken down elements of other jewellery, reworked metal from old jewellery or using throwaway materials to make jewellery. It’s hopefully the way the world is going. I’m keen to start using other materials like aluminium and plastic in my work and to reuse old metal. Plan, never stop learning and never make assumptions. Making a living from doing something you love is a privilege. It’s hard work earning from being a maker or an artist and you need to be good at so many things. If advice is offered, take it. …place – I’m happiest in the countryside or at the beach, but do love visiting the hustle and bustle of the big smoke as long as the trains are behaving! For more details on Katherine’s work, you can visit her website, or feel free to check out her Facebook page or her Instagram page.